…I think I’ve made a reasonable start! 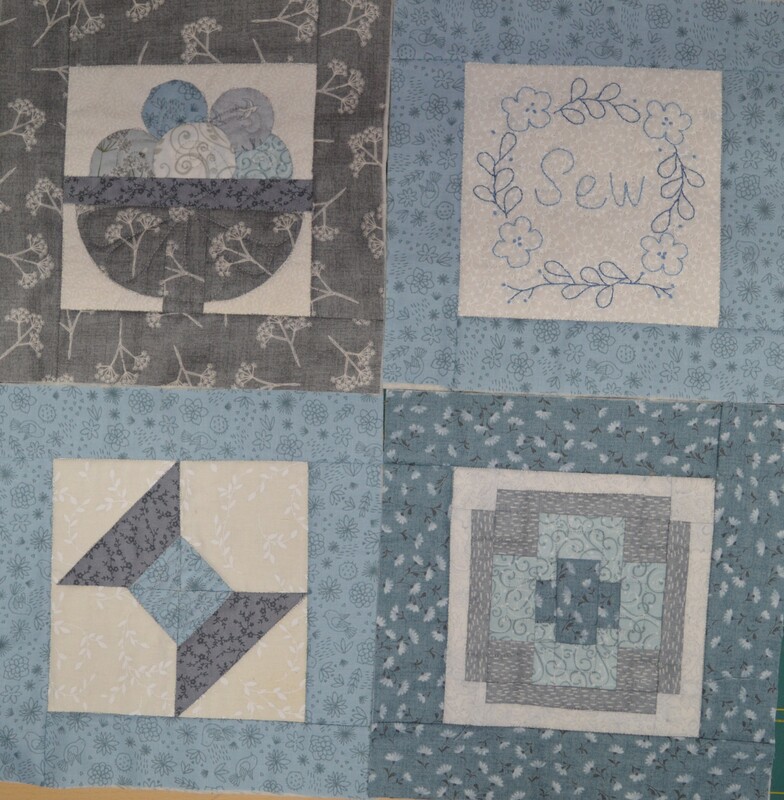 1 Scrap Quilt; nothing as yet but I am collecting ideas and making plans – I probably just need to set too and make blocks instead of plans! 2 Tutorials; nothing here either. 3 sessions in the garden; I’ve managed this most weeks in January, and my garden is looking tidier for it! 4 workshops; I’ve booked two for May and June at Fabbadashery, ones a hand embroidery one and the other is to make Harold the Hare, a mixed media, machine embroidered picture. I’m quite excited about this one as I’ve admired Harold for some time! 5 presents; I made a baby quilt for my niece who is due next week so she hasn’t seen it yet, but I’m counting it in January as I’ve finished it. 7 new patterns; none as yet but I am planning a good sort out of my pattern stash. 8 kits; I stitched my bobbin garden kit and I’m half way through a mandala, so one so far. 9 mini embroideries; we all received our new travelling sketchbook to cover and start ready for the February meeting, so I’ll be stitching one a month at least for a while. 10 things; I made a quilt block book for my Coming Home quilt. 11 cross-stitch smalls; I made a good start with three stitched this month, I’ve another another one which just needs finishing too. 12 pages in my book; this is going to be quite a special textile book as I’m including all the pieces of handwokr I found when clearing my mums house, both finished and unfinished. I’m still making plans in my head. 13 clothes made; I thought I’d made a dress in January, then I realised I sneaked it into December! 14 drawers organised; I’ve started organising my machine embroidery threads, having bought a few from Raggedy Ruff designs for my Spring Wreath quilt BOM I now have quite a few, so they have a box to themselves. I’ve also started sorting my cross-stitch patterns, I must have dozens on my computer which I’ve either bought or found freebies, as I can’t easily see the picture I forget about them, so I’ve started printing them off and putting them into a file. I’m classing this as one completed. 15 minutes tidying at the end of a sewing session. I can’t say I do this every night, but I am getting much better at having a quick tidy up, hanging things back on my peg board and clearing the cutting table. 16 books; One read and almost finished the second, so a good start. I read A Golden Thread which was fascinating, all about the history of textiles through the ages. I’m now re-reading West With the Night by Beryl Markham, which I’ll tell you about when I’ve finished it. 17 blogs a month; I wrote 19 posts in January, which I was pleased about as I haven’t got the weekly photo challenge now. 18 walks; I’ve had a good start here too, I’ve been on three walks, only about 5 miles each, but it’s enough at this time of year. I’ve walked on the Chevin twice and round Fewston reservoir once. It’s nice to get out and have a bit of fresh air. 19 Splendid Sampler Blocks; I completed another four this month, so I’ve got twenty made altogether, all pieced, sandwiched and quilted. So all in all, not a bad start to 2019! 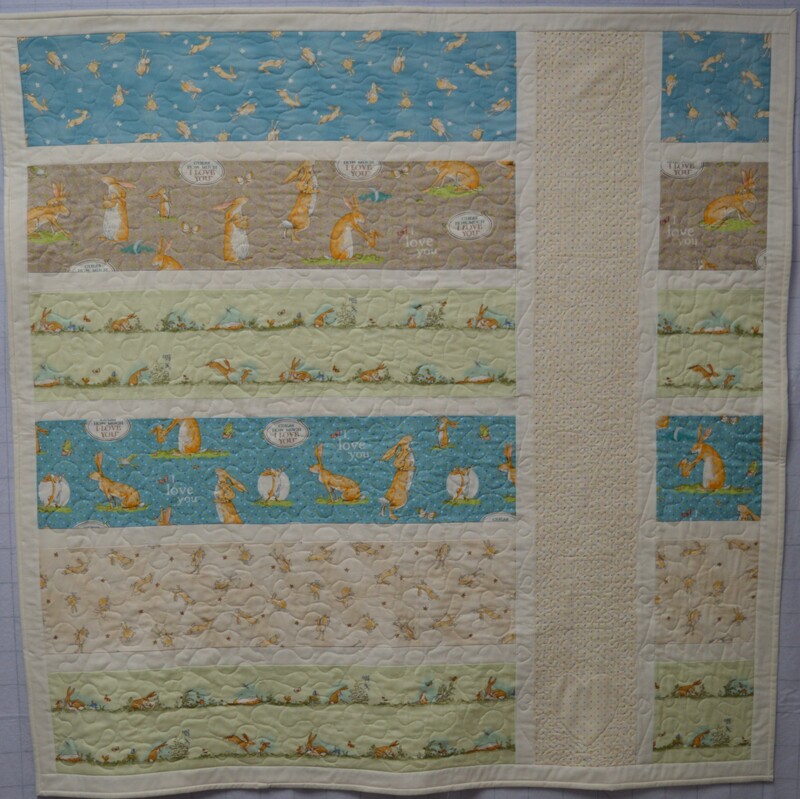 This entry was posted in embroidery, Nineteen for 19, Quilting and tagged Nineteen for 19. Bookmark the permalink. I do like reading these lists, even though I decided not to do one this year. I think, however, that I will make an intention list for 2019 as it’s nice to keep a track of progress. Had a quick look at Fabbadashery… what a wonderful shop and Harold the Hare looks like he’s going to be fun to make. I think you have made a great start. 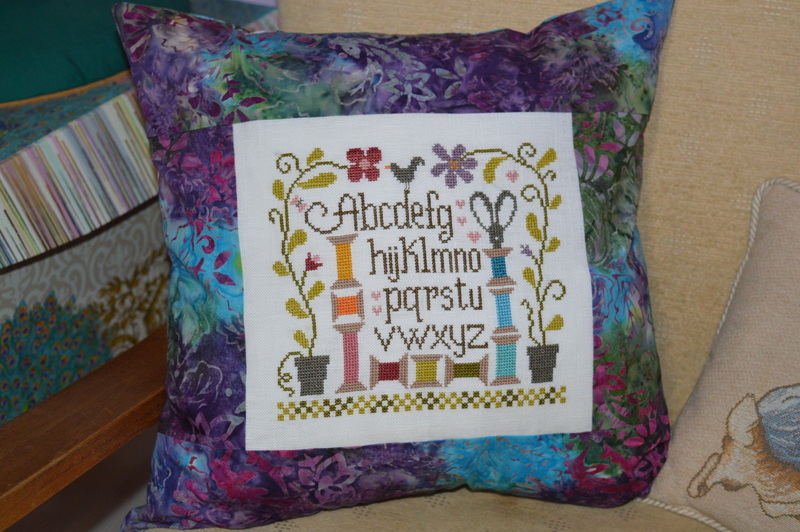 Reading your list made me think what I have sewed, started etc so far this year and on the whole not too bad. A good start. I am always amazed at what all you accomplish. You have made a great start! That alphabet pillow is so cute! Obviously you are not sleeping as you are extremely productive and talented! 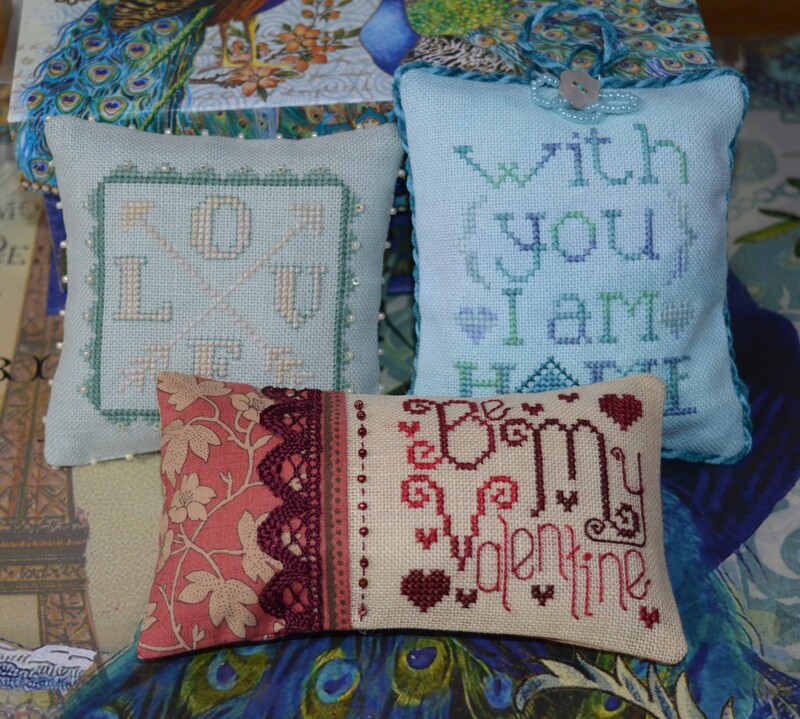 Love the pillows and looking forward to seeing your garden in the Spring!